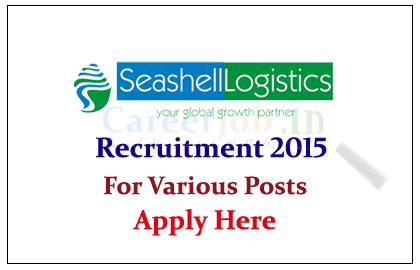 Seashell Logistics Pvt Ltd is recruiting for the post of Manager / Assistant Manager / Sr. Executive / Executive for the year of 2015. Interested and Eligible candidate can apply here. 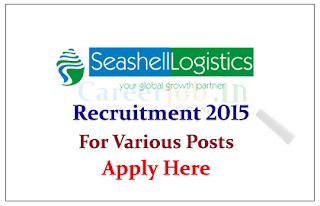 Candidate Should be a Graduate / Post Graduate with 03 + years' experience in Shipping Industry. 2. Developing Break Bulk / Projects / ODC / Bulk / Reefer vertical pan India to acquire more business. 3. Meeting Sales goals / target. 4. Carrying out Pre Fixture and Post Fixture activities. Mumbai, Gurgaon, Hyderabad, Chennai and Pune.